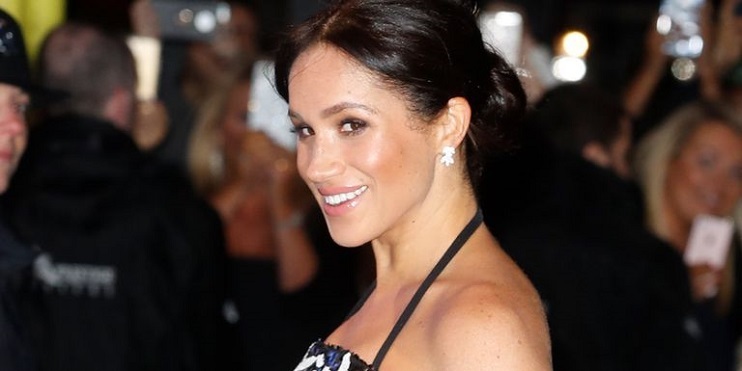 Meghan Markle alongside Prince Harry attended her first Royal Variety Performance at the London Palladium theater, and she made an elegant fashion choice for the occasion. The event which is somewhat aimed at raising money for the Royal Variety Charity had British royals turned out in droves and for the occasion, the Duchess of Sussex chose a stunning halter-neck top and floor-length skirt by Safiyaa. The 2-piece ensemble was in a black and sequined white floral motif, a hue Meghan completed with a pair of matching shoes. The look alone reminded us how glamorous a halter silhouette can be and the mom-to-be added sparkly box clutch and earrings, finished with back bun hairstyle. This isn’t the first time the Duchess is wearing Safiyaa. 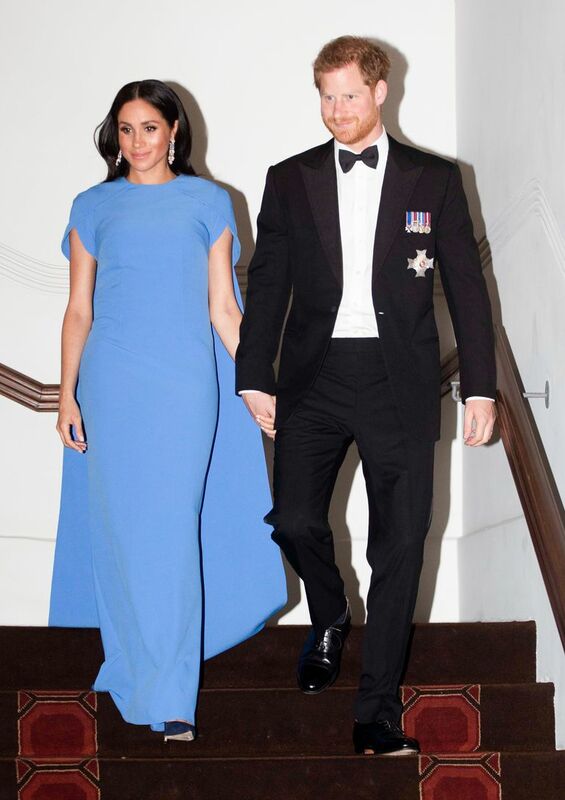 Just a couple of weeks ago, Markle wore a stunning Safiyaa blue caped gown during her royal tour in Fiji with Prince Harry.